The number of hotel rooms under construction in Miami dropped sharply in December from the total of December 2016, mirroring a national decline. According to information from STR, a research firm that monitors the hotel industry across the nation, 20 hotels were in construction in Miami-Dade in December, totaling 2,982 rooms. The number of htoels under construction is down 20% from the prior year’s 25, and the number of rooms under construction is down 17% from 3,579 last year. Hotel rooms under construction nationally have been down for three consecutive months, STR said, and that decline in new competition should help existing hotels maintain higher their rates and prices. Overall nationally, 179,979 rooms were in construction across 1,400 hotels in December. The number was down 3.7% from December 2016, STR reported. That decline followed a flat November, up 0.6%, and October, down 0.1, and was the largest year-over-year room construction decrease in the US since September 2011. STR defines in construction at a hotel property as meaning the owner has either broken ground or is finalizing bids on the prime, or general, contractor. While hotels that far advanced declined markedly, in Miami-Dade the STR figures for hotels not so far through the pipeline showed the reverse trend. Hotels in final planning, meaning the project will go out for bids or construction will start within four months, increased markedly in the county. 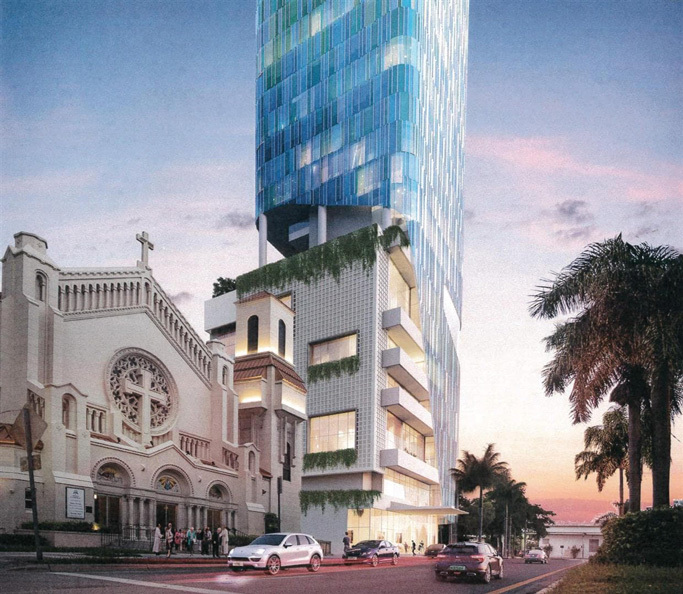 In December, STR listed 31 Miami-Dade hotel projects in final planning totaling 5,567 rooms. In December 2016, 26 projects, 19% fewer, had reached the final planning stage and 11% fewer rooms, 5,026, were contemplated in those projected hotels. In an earlier stage, at the point where an architect or engineer had been chosen and initial government approvals usually have been granted, December 2017 was also slightly ahead of December 2016. There were 27 projects listed versus 26 the prior year, representing 5,904 rooms in 2017 versus 4,801 in 2016. STR also reported that the US hotel industry showed positive year-over-year results in its three key performance metrics the week of Dec. 31 through Jan. 6. In comparison with the week of Jan. 1-6, 2017, the industry showed an occupancy gain of 3.6% to 48.7%. an average daily rate gain of 5.8% to $124.33, and a revenue per available room gain of 9.6% to $60.59. Performance growth was boosted by a comparison with a week that did not include New Year’s Eve in 2016. The top revenue per available room increases were reported in Orlando, up 36.7% to $116.34, and New Orleans, up 35.0% to $110.50. New York posted the largest lift in average daily rate, up 23.8% to $222.68. San Diego enjoyed the highest rise in occupancy, up 19.4% to 62.9%. Tampa/St. Petersburg reported the largest drop in average daily rate, down 6.1% to $124.60, and the only decline in revenue per available room, down 5.5% to $78.28. The declines in hotel construction may not last. As per GMCVB data, 2,082 new hotel rooms were slated to come online last year, but this year there are plans for construction of 3,433 rooms – a 65% increase. So just as there was a recovery in occupancy rates and room rates towards the end of 2017 as inventory was mopped up, there is now the real prospect of downward pressure on room and occupancy rates with a wave of new lodgings coming online.